Remember When One Black Girl Single-Handedly Took Down Wall Street Greed? 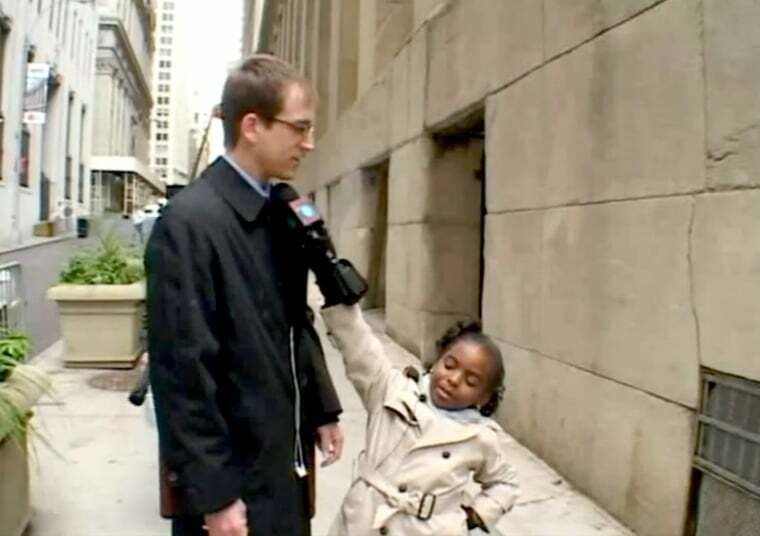 The best thing I saw on the internet today was a throwback segment from a 2006 episode of Wonder Showzen in which a black girl named Tamara confronts Wall Street businessmen. Over the course of two minutes, she implores them with hard-hitting questions on exploitation, greed, and revolution. After asking a businessman, "When did you sell your conscience?" Tamara chases him down the street when he ignores her. "Your money doesn't make you better than me!" she shouts. In chaotic Trumpian times such as these, she perfectly articulates what we all think about destructive money-hoarding capitalists: "You disgust me."